British Carriagedriving is the governing body for the sport of Horse Driving Trials in Great Britain and is a member body of the British Equestrian Federation. Carriage Association of America is the oldest and largest organization dedicated to the preservation, restoration, and use of horse-drawn carriages and sleighs. 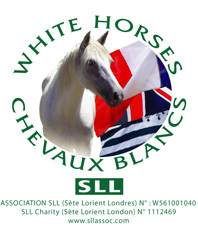 SLL White Horses charity is a Franco-British registered charity with humanitarian, social and environmentally conscious aims. SLL selects horses from the Camargue in southern France from where they are ridden across France and England by a team including disadvantaged youngsters and they are finally donated to Riding for the Disabled centres in England and France. Waste management and disposal. Sponsors of the BDS Show. Magazine dedicated entirely to sport and recreation with the harness horse and sponsors of the Pleasure Driving Award. sponsors of the BDS Show. We cover all types of horses kept for competitions and pleasure, as well as complete cover for donkeys, events insurance, commercial liability and personal accident policies. The society was founded in 1883 and continues to promote the breed in the UK and throughout the world. KBIS British Equestrian Insurance is one of the largest independent horse insurance companies, providing all types of insurance for the equestrian including horsebox cover, specialist bloodstock, personal accident, public liability for riding schools & livery yards and equestrian property insurance. With over 20 years experience, KBIS understand your concerns and expectations and can tailor a policy to match your own personal requirements.